We recon it’s truly inspirational and brilliant to see such dedication, we’d expect nothing less from Dave and the Foo’s! It always is…and always will be…ALL or nothing! 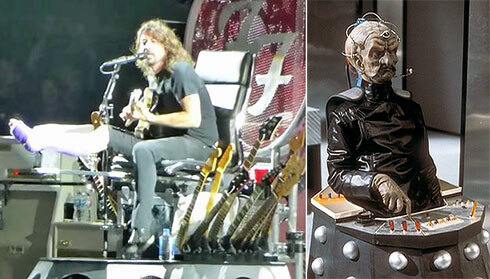 Nice one Davros…we mean Dave-ros…erm…anyway – get well soon!